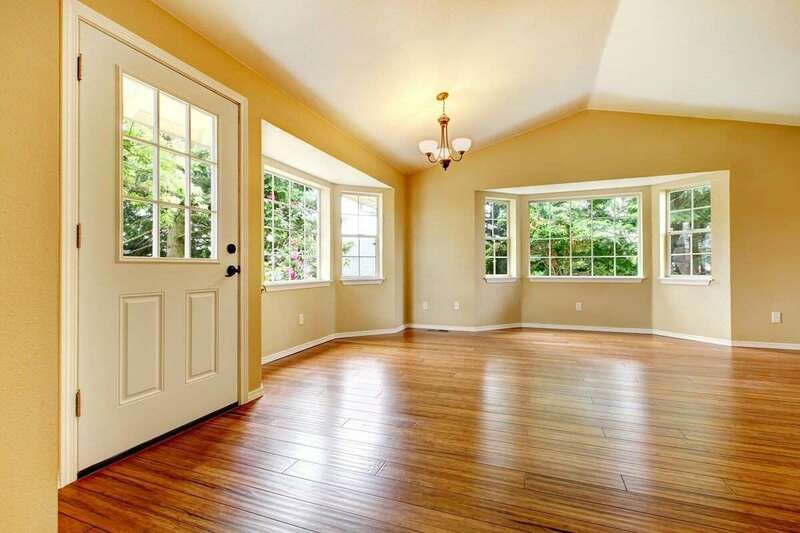 Home » Blog » What are the Benefits of Wood Flooring? When it comes to interior design there are many aspects that need to be considered. Not only do you need to make sure you’re going to love the way something looks, but also that is completely practical for your home. There are many benefits of wood flooring that make it the perfect choice for almost all of the rooms in your home. Adding a luxurious, homely feel to your room is just one of the many positives of wooden flooring. Wood flooring is becoming more and more popular amongst homeowners, some are choosing it due to the classic style, while others are convinced by the easy maintenance. Here at Quicksand Flooring we love wood flooring for many reasons, though there are a few standout benefits that really sway us to believe it is the best flooring option. If you’re considering changing your flooring, keep reading for the top reasons you should finally make the switch. One of the benefits of wood flooring is that it is incredibly easy to maintain and clean. When you notice dust and dirt accumulating, there are several quick and easy ways to get your floor looking as good as new. They can be vacuumed, swept, steam-cleaned, or mopped – or all of the above if you want that extra clean feeling. Wooden flooring doesn’t have to be cleaned very often, only when you feel necessary. Wooden flooring is also significantly more resistant to stain than carpets. If you spill something the liquid will sit on top of the wood for a substantial amount of time, so all you need to do is wipe it up and it’s as good as new! For more information on how to maintain hardwood flooring, read our other blog post. Another benefit of wood flooring is the durability, making it the perfect solution for areas in your home or business that have high traffic. Being durable is one of the many reasons people decide to switch to wood, meaning it will last a long time without looking old and used as some carpets might. They can get scratched and dented though this is difficult to do. As long as you take care of it properly, the floor can last for decades. Although wood flooring can be more expensive than a veneer or carpet alternative, it can be cheaper in the long run. As long as you look after your hardwood flooring correctly the outcome will far outweigh the initial cost, with no need to constantly replace it like you may have to with a cheaper alternative. Wood is easier to clean and a lot less likely to be damaged, which reduces your cleaning and repair costs that may come up. Another great benefit of wood flooring is that when you want to refresh your design they can be refinished rather than replaced. This also factors in to saving money, as paying for an entire new flooring is a lot more expensive than having your current one restained. Your floor just needs the current colour sanding off and then to be restained to the finish you desire. If you are thinking of changing the current flooring in your home you should definitely consider switching to hardwood flooring. There are many benefits of wood flooring that come along with the switch, making them a great choice for all homes and businesses. If you’re interested in installing new hardwood flooring or considering restyling your current design, get in touch with us today! By Daniel Wilson|2019-04-12T09:03:00+01:00January 31st, 2019|Commercial, Domestic, Services|Comments Off on What are the Benefits of Wood Flooring?